We're almost ready to pull the intake manifold. 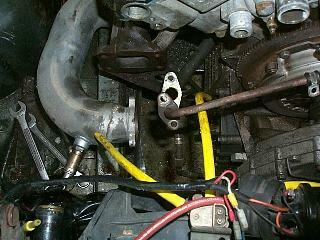 Move all of the fuel injection wiring out of the way. There are a couple of ground wires that need to be unhooked. Unscrew the coolant bolt that connects to the turbo. 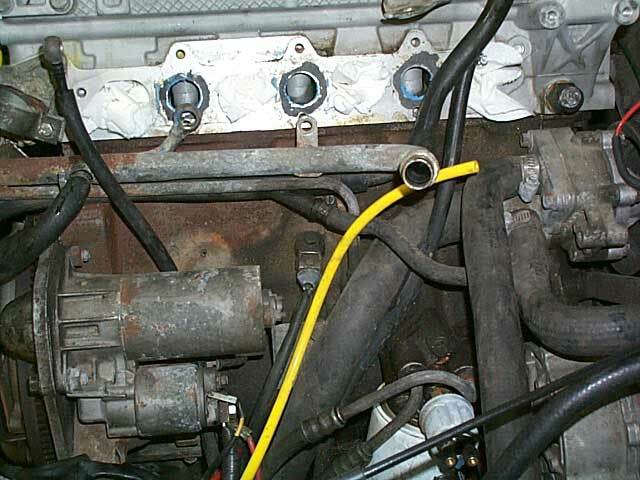 Finally, remove the coolant hose that goes to the heater core. 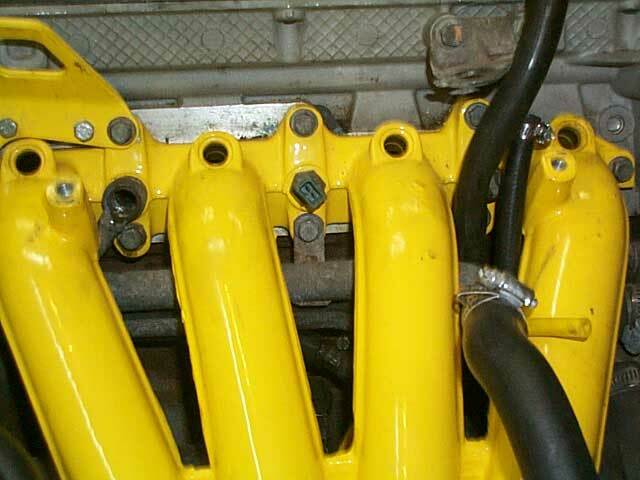 Now undue the 12mm bolts that hold the intake manifold onto the head and pull it off of the car! All of that nice color is gone! Now it looks like an engine that has 192,000 miles on it. The next thing to remove is the turbo charger if you have one. Be sure to pick up a turbo-seal kit from the dealer so you can replace the seals when re-installing the head! The turbo is rather easy to remove. Undue the oil lines and water lines. Unbolt the downpipe from the turbo and finally unbolt the turbo from the exhaust manifold. Twist and turn the turbo out of the car.